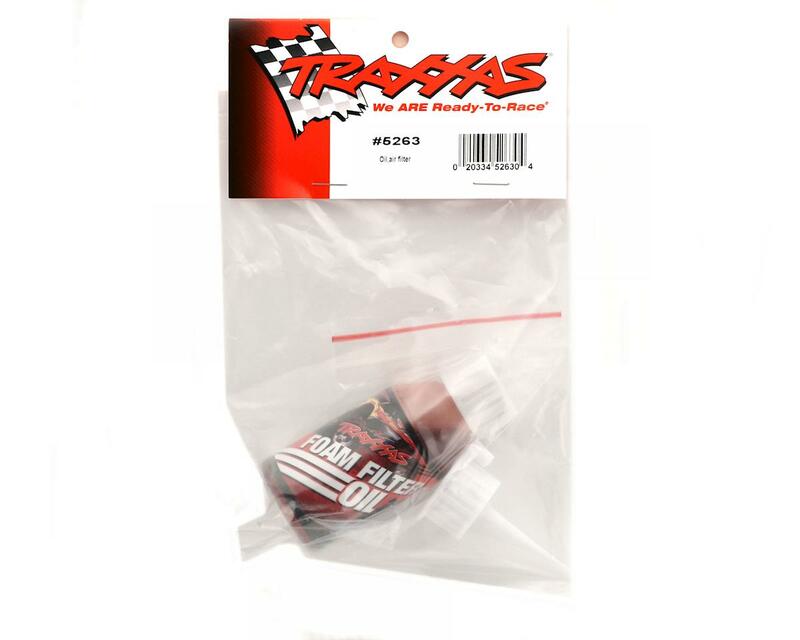 This is one bottle of Foam Air Filter Oil from Traxxas. 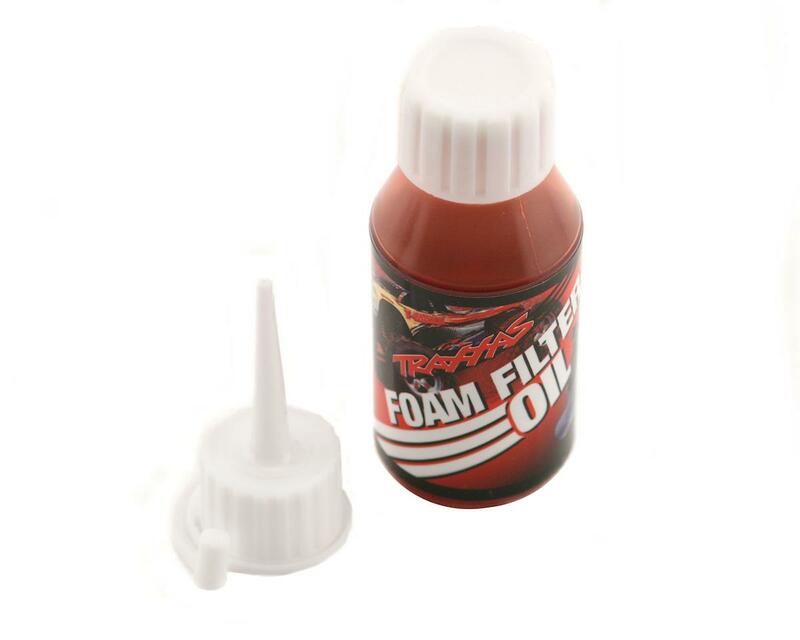 This foam air filter oil should be massaged into the filter until you get an even red color. Usually it is best to put the foam filter in a small plastic bag with the oil to make it easy to massage the oil fully into the filter. Before installing on your vehicle, squeeze any excess oil out with a clean rag.